Well hello there! Fancy meeting you here! It's been quiet around here lately, hasn't it? Yeah...and trust me, it wasn't by choice. I've tried to make a post, twice, but it just wasn't in the stars for me. The first attempt I had written a longish post and had all my photos inserted and everything. It was awesome. But sometime during the writing process Blogger or something must have signed me out because when I clicked the 'publish' button I was taken to a page that told me that I needed to sign in before I could perform such activities. I had lost the entire post. I was so not impressed. Defeated but determined to post, I wrote another post but a much shorter version of the original. This time I made sure I was signed in, I had saved a million times, all was good in the hood. Until I went to publish the stupid post. I'm actually surprised that I still have hair left on my head. Yes, the post looked good in the draft stage but when I checked it out in the preview...that was another story. I know I've mentioned it before, but I've been having major formatting issues lately. My posts have been appearing in three different fonts with text of varying sizes, major spaces between paragraphs and photos, and photos themselves are showing up either super big or really small but always un-centered. All attempts to fix these problems in the "normal" way were fruitless and I would have to go in and html the crap out of the post, and trust me when I say it was pure hell. I don't know html at all, but can tell that within one sentence there were at least 6 different commands...for text and size, sometimes for position. Now imagine an entire post having each and every sentence like that. Oh yeah...I was sitting there for hours trying fix the one post! I got fed up and decided to nix it altogether. I noticed that I started having these issues ever since I tried to make a post via mobile. Then it got worst when I messed around with the fonts in my blog layout. Sadly, all my issues are due to settings within the computers that I've made posts from. Yeah...apparently my phone has settings but that is all within the app. So even if I do figure out the settings on my computer, the phone settings are out of my control. Even deleting the app doesn't help. Trust me, I tried. I'm not saying don't download the Blogger app, cause it does work. I had it on my old phone and have blogged from it before and it had worked just fine. I guess the combo of the camera apps mixed with Blogger mixed with whatever else I had done was something that Blogger didn't like. At all. And now I must pay for it. With each post. Le sigh. Ok. Enough of my blogging issues!! I promise! Onto some knitting content. I've been knitting like a fiend but not getting anything finished. Why? Well, I was in denial for the longest time and finally admitted to it last week. I had a bout of Starteritis. It wasn't pretty. Let's just say that I have used every single cable I own for my interchangeable needle set, all my sock needles in my favourite size (2.25mm/US 1), plus a few fixed needles from other sets...all occupied with projects. I am not proud. This is why lately I've been feeling like a chicken with my head chopped off when it comes to my knitting. I seriously had wanted to cast on every.single.project I plan to knit this year, and then some. My house looks like a yarn shop had exploded, you can't look anywhere without spotting a skein or cake of yarn sitting there, attached to some needles that have had only a few rows knitted up. Although a while ago I finished my Orchid Audrey cardigan, so I do have one project off the needles. It still needs the ends woven in and a good blocking. 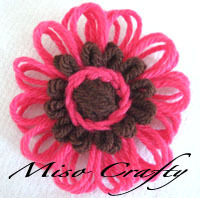 I'm hoping sometime next week I can head over to Button & Needlework Boutique and find some buttons for it. I had taken my cardi to knit night on Friday for some opinions as to what kind of buttons I should get. The lovely ladies all had wonderful ideas, so now I know what I'm looking for. Just hope B&N has it! Since I was having blogging issues I was kinda turned off of the computer for a bit, but it's amazing just how much knitting you can get done when you're not busy staring at photos of yarn, surfing Ravelry, checking your email every five minutes, and having your time sucked in by Crackbook Facebook. I hadn't even bothered to upload photos from my camera either (I'm still trying to take photos of the stash)! And I'm usually always on top of that! Brett will be leaving for the mainland tomorrow and will be gone for a handful of days, so I'm not sure just how much knitting will get done in the next few days. I think the Starteritis has tapered off for a bit cause yesterday I was actually able to knit and concentrate on just one project! If I keep it up, I just might be able to get it finished by mid-week! Yay! Something to show you guys! 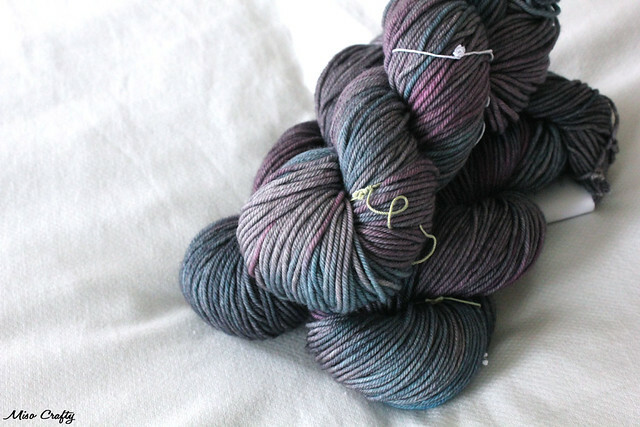 PS: Cause I'm sure someone will email me and ask, the yarn in the photo above is Madelinetosh Vintage in Steam Age. I heart this colourway so much! I think I have a sweaters worth in this base but am still trolling for patterns that will mesh well with the colours. Any suggestions?